The primary purpose of each package—that of protecting its contents during transport and storage—remains unchanged. Packages prevent contamination and damage, and protect foods from harmful environmental influences such as light, oxygen and moisture. They provide protection from spoilage due to microorganisms and prevent the loss of flavor or vitamins. Up to 1.3 billion tons of foods, says the Food and Agriculture Organisation (FAO) of the United Nations, are lost each year worldwide. In some cases, fresh goods spoil during transport, are not consumed in time or are deemed unsaleable because they fall short of the given standards. And often enough, still edible food is discarded by consumers because the sell-by date has expired. For over six years now, this overall issue has been addressed by the SAVE FOOD initiative of the FAO, the environmental program of the United Nations Environment Programme (UNEP) and Messe Düsseldorf in cooperation with globally leading companies, organizations and research institutes. Their joint goal is to devise solutions to prevent food loss and wastage along the value chain. This involves making suitable infrastructure available, re-examining and modifying standards for packaging, raising awareness and, last but not least, working on the package itself. For what is now the third time in succession, the initiative with the international SAVE FOOD congress, which marks the start of interpack in Düsseldorf from 4 to 10 May 2017, is being given a suitable platform and bringing together various stakeholders from business, science, the political sphere and civil society in the fight against food wastage. 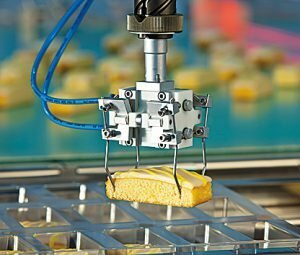 Within the fair, the special SAVE FOOD exhibition will be held for the second time in the innovationparc, which has been energetically taking up a selected issue from the sector at each interpack since 2008. When it comes to food packaging, hygiene is top priority, and sensitive meat and sausage products are subject to extreme standards of hygiene. Complete high-performance production lines inclusive of meat grinder, portioner and tray-sealing unit focus not only on performance, flexibility and product quality, but also on the interfaces because these have a huge bearing on productivity. 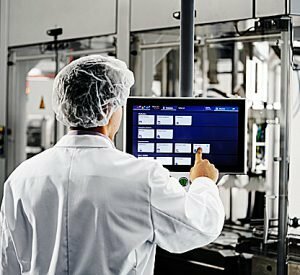 The responsibility for food safety lies with the manufacturer itself. In-plant hygiene controls are strongly advised, but even more important is the exclusion of possible hygiene traps from the outset. Covering everything from comprehensive hygiene design and effortlessly cleanable components to sterilization of the ambient air with short-wave UV radiation, highly advanced equipment delivers the highest standards of hygiene. In the SB sector particularly, the skin pack, a two-component SB package consisting of PP or CPET tray sealed with a skin film, has become increasingly prominent. 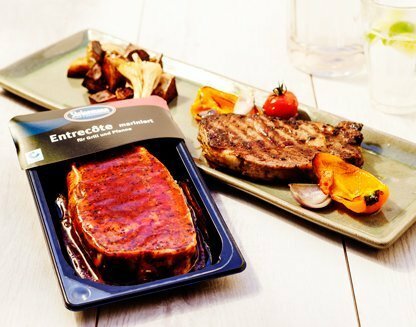 “It’s possible to extend product shelf life considerably with vacuum skin packaging,” explains Stefan Dangel, sales and marketing manager at Sealpac.